This entry was posted on October 6, 2012 by Russell Smith. 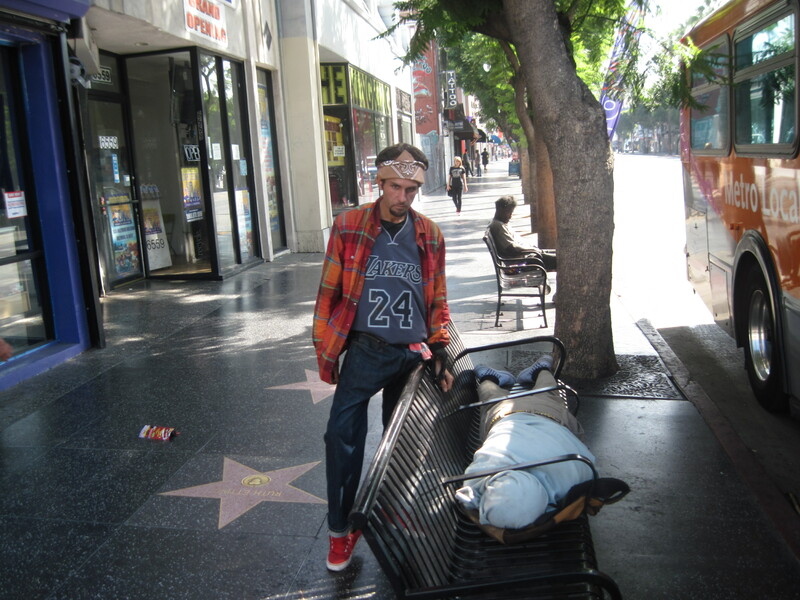 It was filed under Street and was tagged with bus bench, Hollywood, homeless, Russell Smith, sleep. He seems to have put himself into full body restraints for the night… Possible werewolf? How on earth can he sleep like that. Oh and Mrs Russell Smith may have a point…possible werewolf indeed !